After what can only be described as one of the craziest weeks in living memory (and yes, we are talking about the election of a certain billionaire reality TV star into the White House), the annual John Lewis Christmas TV ad was a bit of a welcome diversion this week. The launch of the advert always creates pre-Christmas buzz, and this year has been no exception. Noticeably lighter in tone than some of its previous tear-jerking predecessors, this time the department store has treated us to the story of a very bouncy boxer called Buster, complete with a myriad of equally high-flying woodland friends. Just in case you’re not one of the seven million people who have already viewed it on YouTube, have a look at it here. John Lewis’s customer director Craig Inglis, has said that the hope was that the advert would ‘make people smile’. Not only has it brought a smile to our faces in the Lime office, but in marketing campaign terms, has shown how big brands understand the importance of joined up thinking. What would once have been a simple Christmas advertising campaign, reaching its audience on their TVs, is now a multi-channel Buster-fest, complete with cute and cuddly merchandising, a charity hook up with The Wildlife Trusts, massive social media engagement and in-store experiential activity. 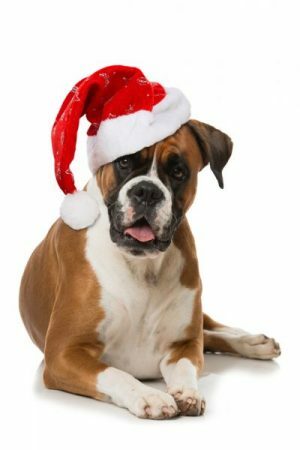 On social media, everyone is jumping on #bustertheboxer, from members of the general public who want to join in the festive feel-good conversation, to wildlife and dog rehoming charities hoping to ride the crest of the Buster wave to their own advantage. The spoof ads have already started to surface too. Bespoke Twitter stickers have been made available for a limited time to enable users to personalise their photos with Buster and his friends. People can turn themselves into the lovable boxer thanks to the magic of customised Snapchat filters, with special Snapchat activations available throughout the 48 John Lewis stores during December. Those visiting John Lewis’s flagship Oxford Street store will also be treated to a Virtual Reality experience which will allow them to be immersed into Buster’s fictional world. That’s not to mention the column inches and online coverage that has been generated in PR terms. It will be interesting to see if the £7 million campaign generates the ROI that John Lewis is hoping for. Whatever the impact on the retailer’s profit come January, we’ll be smiling all the way to Christmas every time we see Buster and his furry friends happily bouncing away.